Wondering about all the recent articles claiming teachers don’t know how to teach reading, and their education schools are failing them? It appears to be about nonprofits! These groups are competing with universities. They promise to better prepare teachers to teach reading, for a fee, of course! But there’s no proof they will do teacher preparation better. It’s unclear why nonprofits are considered experts. The goal along with making money appears to be to place children on digital devices for most of their learning. Here are some examples. Click the titles for the links. Early Reading Matters is a part of Teachers Matter which promotes itself as an organization to teach teachers a variety of skills. Here’s the link. Why is this group untrustworthy? They make the usual blanket statements critical of public schools. They love Common Core and look to align skills with the Common Core State Standards. They partner with anti-public school, pro-privatization groups like Digital Promise, Literacy Design Collaborative, Educators 4 Excellence, LRNG, National Urban League, #Teach Strong, and Teach to Lead. Many of the instructors have ties to New Leaders, Relay Graduate School of Education, and charter schools. Their founder focused on technology. She also worked with New Visions for Public Schools which promotes charters schools. In 2018, New Visions received a $14 million grant from the Bill & Melinda Gates Foundation. They stress their program has scientific research, but I see no peer-reviews. It’s questionable why the instructors are considered experts when it comes to reading instruction. Philadelphia’s school district is spending $17 million to bring in the Children’s Literacy Initiative. Most of the teachers there don’t want this group and claim they don’t need them to do their jobs. But a few people on the school board hired them anyway. There’s no proof they succeed at raising student scores, or that they help teachers help students read. They rely on research from another nonprofit called Research for Action! You scratch my back, I’ll scratch yours! They say, The reason traditional professional development is ineffective is that it doesn’t support teachers during the stage of learning with the steepest learning curve: implementation. But that’s not exactly true. Teachers from good university programs always spend time student teaching and are supervised for months before they get their own classrooms. CLI received a $4 million grant from the U.S. Department of Education. It’s to be spent on teacher training in charter, public, and parochial schools. Why are we funding teacher training for parochial schools? This nonprofit works in Mississippi. Its CEO is from Teach for America, although to his credit he also went back to school and got degrees in education. They received $100 million from the former CEO of Netscape. The University of Mississippi seems to have embraced the Barksdale Reading Institute. It’s hard to understand why any university would embrace a nonprofit over the professors they hire to teach reading. But universities are being corporatized like K-12 education. The Barksdale Reading Institute partners with a variety of Mississippi groups including another school nonprofit called Move to Learn which privatizes recess. The Barksdale Reading Institute sells Reading Universe which is mostly phonics-based. This is a group that goes into Texas A&M-San Antonio University’s School of Education to teach future teachers. Who does the university hire to prepare teachers how to teach reading? Why would any quality university need outsiders instead of the professors they hire, to teach reading? The Empowered Readers Literacy Project. This makes me smile a little. Even an Atlanta first grader, who decided her classmates weren’t learning their ABCs fast enough, is starting her own nonprofit with her parents. Right now they are helping to create little home libraries, but even here, there’s a subtle implication that teachers aren’t doing their job correctly. How many more nonprofits will be created? Look for more vilification of university education schools and their reading programs, and more selling out by those schools to nonprofits. Watch more nonprofits get hefty grants from school districts to train teachers in reading preparation, whether they are good at training or not, especially in schools that are transforming to all-technology. The controversy isn’t always what it seems. It is easy to understand why university training is not looked to as the gold standard, take Lesley University or Ohio State, it seems they are linked to a program called Reading Recovery- which completely disregards the science by teaching guessing – including the neuroscience of how humans acquire reading skills. Teachers and their students are set up to fail when foundational skills like phonemic awareness and phonics are not explicitly taught. Reading is much more than good stories and engaging pictures. Reading is a complex process that requires connecting the sounds of language to text. Public and private initiatives need to be better consumers of reading instruction, products and training. It is not the source, public or private funds, that matters as much as does the instruction, training, product or service follow the science of reading? Is it based on real peer-reviewed objective evidence from scientifically based reading research? Is it in line with the National Reading Panel Report, the Rose Report and the science of reading in the brain? Clearly, there is a problem as a developed nation even in our most well-funded areas, nearly 1/2 the students are not reading at grade level in grade three. Universities are not providing teachers with the skills and knowledge they need. Why do you say that universities are not providing teachers with what they need? Are you a teacher or a parent? Which universities? A good university program should present the theories and background of ALL kinds of reading programs. They should also teach methods and reading assessment. Teachers have successfully introduced children to reading for years and that included phonics! I learned phonics in the late ’50s in third grade after I learned basic reading skills! Reading instruction has been politicized because it is the primary function of elementary teachers. Go after the way they teach reading, you cast doubt on their profession. Universities have been corrupted like k-12. Many do sign on to certain reading programs because they believe they’re the best. I don’t think they should. You have your personal preferences and you will pick out studies that support your beliefs, but there are studies to claim the opposite too. Thank you for taking the time to comment even though we disagree. The real answer is that children learn differently. Most need some phonics, but some children come to school reading well and need little if any phonics. Children with learning disabilities may need a lot of phonics. The science says otherwise, all students need to have phonemic awareness, phonics skills, oral language skills, vocabulary skills, and some degree of rapid automatized naming speed to get the basics of reading fluently. No child is born with phonemic skills or phonics skills. Some will need more help than others but the process is scientific. Connecting the sound to text at the most basic phonemic level is key and all students benefit from being directly taught. It is not the only thing but without it, kids cannot learn to read. I am both a parent and a reading specialist a school counseling professional and an advocate for students struggling to read. Even in course work for students with special needs – no training whatsoever is provided in phonemic awareness or phonics. I just participated in a Committee to agree on the standards for licensure for reading specialists and the majority of the people (PhDs in the room teaching teachers) did not know the current neuroscience that explains how we adapt to learn to read as humans. https://www.youtube.com/watch?v=MSy685vNqYk Scientifically, there is no current science that refutes the explicit and systematic Essential Components of Reading Instruction as necessary for teaching reading. Your real point was against private funds, but I say again it is not where the money comes from but spending it on poor unscientific training, in our out of universities that leaves teachers scrambling, and kids illiterate. I am not picking out studies for my beliefs, perhaps that is how you do it? I do not know. I look at what I see in middle school, kids who can’t read, having never been taught phonics, a young man moved along in a well-funded school with poor phonemic awareness and no phonics skills, but notes in the record, distracted, not focused, not once did they diagnostically assess the skills he needed. Once identified he is now at 18 learning to read. I have been to more IEP meetings than I can count, on both sides of the table, and when kids can’t read the “team” usually includes teachers that have no idea to help the child. It is not that they do not want to, they do, but their programs did not cover all of the Essential Components of Reading Instruction, including phonics. The last meeting I went to advocate for a 6th grader, taught to look at the picture and guess, still not reading after years in school, I asked what the specialized instruction included? The teachers said “I pick a book and we read it together” . I asked “what about systematic instruction?” “We do not have that in this schools”. One of the special educators at the table asked me after the meeting to come to her child’s IEP meeting, she thinks her own child needs explicit systematic phonics as well. I appreciate your passion and enjoy much of what you post, but I guess we disagree on the fundamental need for direct and systematic instruction. Nancy, are you a credentialed reading specialist through an actual university program? I saw counseling and history listed as your degree areas. You also lead a decoding dyslexia group, so you have a pony in the show when it comes to phonics. Some of your claims here are wrong. I do think it matters greatly when private money is used on pushing reading programs because it becomes more about making a profit. School districts have always signed on to particular reading programs, but usually teachers had more say into those programs. Teachers were seen as professionals and were not criticized as not knowing anything about reading! You make wild accusations of teachers and university professors and it is difficult to understand how they can be in these positions without grasping any understanding of reading and phonics. I taught students with reading disabilities for many years and my undergraduate degree is in both special ed. and elementary education. My master’s degree was in learning disabilities. I am not sure how universities teach reading today, but in the 70s I can assure you mandatory coursework involved intensive reading instruction that included everything tied to language and reading including phonics! I even took a speech pathology class! I’m staring at an old textbook by Alexander Bannatyne. Language, Reading and Learning Disabilities: Psychology, Neuropsychology, Diagnosis and Remediation. My gen. ed. teacher colleagues were extremely capable to teach reading. My supervising teacher when I was a student teacher was a dynamic reading teacher who collaborated closely with teachers at the same grade level, and phonics was a intense part of the reading program. This was in the 70s. So what happened? 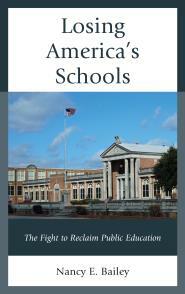 Look at the reform the last 30 years and the attempts to privatize public schools. Look at NCLB and Race to the Top! Most important. It is not true that every child needs a formal phonics program. Roger beat me to this. I know many adults who never remember any formal phonics instruction in the ’50s who are fine readers today! It is just as harmful to make children who come to school reading fluently, sit through endless phonics preparation, as it is to deny children phonics when they need it! As far as your dig that I pick out scientific studies to suit me, I have a PhD from FSU, learned how to objectively examine (the best of my ability) research for a dissertation. I am also known as a fair-minded blogger. I take pride in this! I am not anti-phonics by any means. I just don’t believe it is a scientific cure for reading difficulties for all children. Also, as Roger notes, Marie Clay’s Reading Recovery has worked for a lot of children. It has been attacked unfairly by phonics proponents who believe, like you seem to believe, that there is no other way to learn how to remediate reading disabilities other than phonics. Reading Recovery was designed for the children that were not “getting it” in the regular classroom program. It is a personally catered tutorial program. Phonics is part of the 30 min tutorial session but not the bulk.. Reading Recovery was never intended to be a classroom program, so citing it as such is disingenuous. It has 20 + years of research behind it! The reason it is not more popular or used in many districts is their short sightedness in helping prevent reading failures and paying for an expert teacher rather than a computer program. Yes. It’s an intervention program. It was mentioned first, not by me, as being used at two universities. My point was that those schools also teach phonics in their teacher education literacy program. Children with reading disabilities can benefit from Reading Recovery like they might benefit from phonics. I was referring to reading disabilities in my last paragraph, but it may not have sounded like it. So I cleared that up. Ohio State also only include RR as one component and they include phonics in teacher preparation. Thanks for clarifying, I trained at St. Mary’s College to become a Reading Recovery teacher, in both Spanish and English. Believe me it was intensive and the best training I ever had. Phonics is part of the program in that you teach the children what they need to know, whether it be letters, sounds or words or oral language. Colleges that are linked to Reading Recovery are training sites for school districts wanting to implement this intervention program, It is not available to undergraduates or students that are not going to be serving first grade children in a one to one tutorial program. (School districts usually are the ones that send their teachers since you have to simultaneously teach children as you are in training) Hope that helps, when I was in the program there were many misconceptions about it, mostly by people that had never seen a lesson not read Marie Clay’s work. Thank you for sharing, Laura. I never used the program. I think it is mostly used with first graders and I taught middle school. I remember it was criticized during the Reading First fiasco. As I recall the grantors refused to fund it. I don’t think many remember RF, however. But those whose children go through the program like it and claim it works well. I assume smaller class sizes are required. I do worry about these uses of the word ‘science’. Decades of studies putting ‘brain sensor caps’ on people in body scanners to see which bits of the brain ‘light up’ in response to different stimuli, we know next to nothing about how complex thought processes are mapped by neural processes in the brain. When Aristotle suddenly realised while lying in his bath that flotation was as much to do with the weight of the water as with the weight of his body, was this mapped by a sudden change in the pattern of neurons in his brain? Is the understanding of Newton’s 2nd Law of motion dependent upon acquiring a particular pattern of neural connections? I am sure that the answer to both of these questions is ‘no’. The truth is that we know absolutely nothing about the neural basis of complex concepts and to imply otherwise is rightly regarded as ‘neurobabble’. The problem of teaching reading is, as Nancy points out, that different children can learn to read in completely different ways. Our eldest child became a confident pre-school reader at a very early age, exclusively by using the ‘Ladybird’ books flashcards method. (I don’t know if ‘Ladybird books’ reached the US). In contrast, our severely dyslexic youngest child was a very late reader and benefited from a phonetic approach. Despite his severely delayed progress he has progressed to a senior level in his professional career. For this reason I do not think we should get too hung up on reaching ‘levels of competence’ at particular very young ages. Some countries score far more highly in the international PISA tests than the US and the UK, in systems in which children are not even taught to read at all until the age of seven. ‘Reading Recovery’ is a programme developed in New Zealand to help ‘late readers’. What I do know as a retired Headteacher of an English secondary school is that it has been proven to be very effective regardless of any deficiencies in its neural basis. Thanks so much for this, Roger! Reading Recovery was used here in Cumbria, England as an intervention programme in our Key Stage 2 (7 – 11) for children that were failing to make progress in whole class literacy lessons. The teachers were school based Special Educational Needs teachers that received extra training funded by the Local Education Authority. My wife was one such. The (very effective) programme was intended for one on one tuition with children withdrawn from normal lessons for the purpose. In my wife’s school she used to teach two children at a time (but never more) so that more children could benefit within the available funding. All Special Educational Needs provision in English schools is now in deep crisis as a result of government funding cuts resulting from its obsession with expanding state funded, but privatised Academy schools on your Charter schools model. Our massively underfunded Local Education Authorities can no longer afford to fund Reading Recovery or much else in the field of Special Educational Needs. Thank you, Roger. It is always interesting to share notes. The example you give shows the importance of individual assistance when students have disabilities. Like in England, cuts to special education programs and a push to place students in large class sizes leaves many children without services. 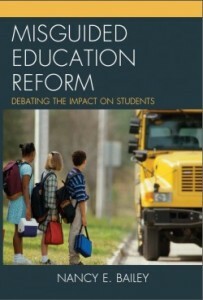 Special education is in trouble here as it is there, and privatization is the similar culprit. Education is not a priority here. The goal is to place students on digital devices for the bulk of their learning. Thanks Nancy. Although it’s not about specifically about reading, but computer programmed learning generally, this article may be of interest. This is excellent, Roger! Same issues there as here. Thank you for sharing. Nice post, Nancy. Just this week Morning Edition had a piece that started out with the worn out phrase that reading instruction had failed because teachers did not know how to teach reading.. I know. It’s ruthless! It’s a concerted effort to demean teachers and their ed. schools. Watch this message ramp up as more teachers march for better working conditions.